How does Biomechanics contribute to clinical and sport research? This is a workshop offered yearly to motivate secondary school students to pursue studies in mechanical and biomedical engineering fields. This activity includes a visit to the UPC Motion Analysis Lab and a presentation of its different measurement systems: motion capture system, electromyography (EMG) system and plantar pressure insoles. 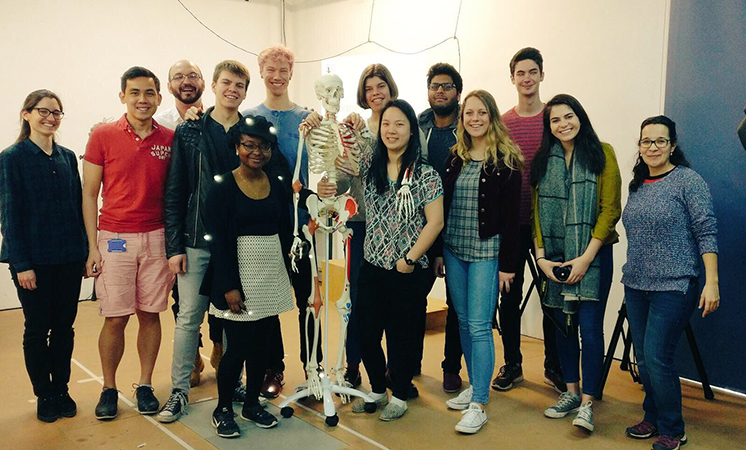 In the workshop students are able to experience first-hand a real motion capture. Secondly, it is shown how these measurements can be used for the analysis of human movement in clinical and sport real applications. The activity is planned for a maximum of 15 students. Moreover, this academic course the Lab has participated in the Science Week 2017, organized by the Catalan Government, and the Robotics Week at UPC.